Start earning commissions with our FMR affiliate program!!! FindMyRecord.com offers a very competitive affiliate program targeted to consumers and business markets for criminal background check screening for employment,landlords, and criminals themselves. 1 out of 5 people have a criminal record, and don't do anything about it. This is where OUR AFFILIATE PROGRAM IS DIFFERENT than the other guys! Besides giving our customers a detailed report, we actually have the option on checkout to add an "expungement assessment" for only $10 more. This is where we assign a live investigating agent to see if one is eligible to have their record(s) completely removed FOREVER! There is "nothing" like it out there! 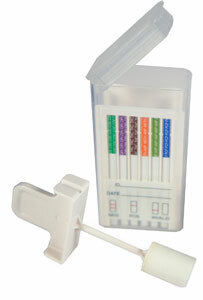 We also have the most popular 5 panel Saliva Swab Instant Drug testing kit! It is one test and will test for the most popular drugs that are being abused out there on the market. Test your children, Test yourself, Test anyone and in 10 minutes you have the Result. Watch this 2 minute video and it will explain EVERYTHING!!! We also have sample reports on our website to show you how detailed it is! VIEW ONE HERE and see how it complete it is! The possibilities are endless. With this BILLION DOLLAR market there is no telling how much an affiliate can earn. To have just a small piece of the pie is worth it! We have put a great video for you to use on your websites,blogs, and social networks to explain exactly how it works. Click Here! This video converts like crazy for us and we WANT YOU TO USE IT!!! In 14 years of service, and over 2 million background checks completed, www.findmyrecord.com and its affiliates has NEVER experienced litigation action regarding negligent hiring or negligent tenancy. In addition, if recommendations are followed www.findmyrecord.com has a 1 in 4,000 miss rate which ranks HIGHEST in the industry. (FYI, the Bureau of Criminal Investigation has a 1 in 10 miss rate). If you have any questions on our Affiliate Program you may contact Dustin at dustin@findmyrecord.com. We are here to help!